Kids of a certain age lie rather frequently. This is both common-sense child-rearing wisdom and a fact that has been observed in experimental settings over and over. So how should parents deal with this fact? And how can they induce their kids both to act more honestly and to admit to dishonest behavior when it does occur? 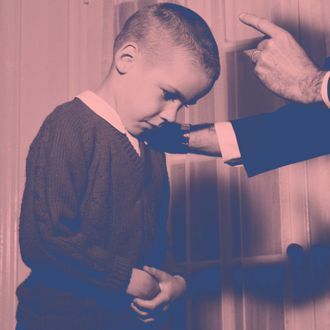 A new study in the Journal of Experimental Child Psychology offers some useful advice to parents: If you want your kids to tell the truth, don’t threaten them with punishment for lying. For the study, a research team led by Victoria Talwar of McGill University had 372 kids between 4 and 8 years of age participate in a game in which a researcher had an unseen toy make a noise, and the kid had to guess what the noise was. After doing this twice, the researcher told the child that she had to briefly leave the room, and to not peek at the next toy while she was gone. She left for a time, during which a hidden camera (there’s always a hidden camera in experiments like this) captured whatever the kid did — or didn’t — do. What’s the main takeaway here for parents? 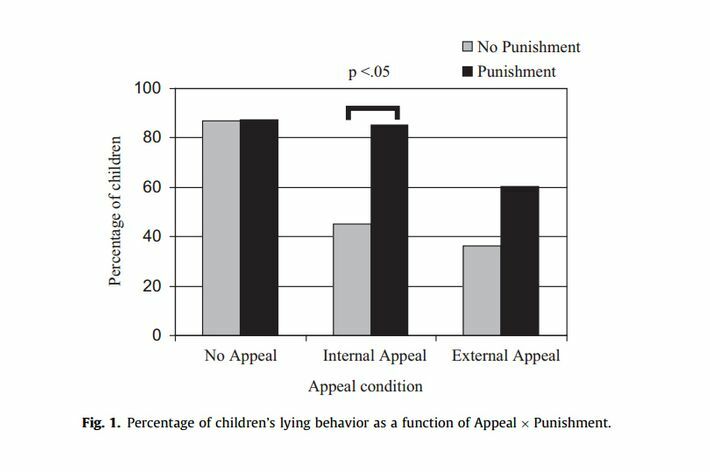 First, that kids — or kids in this study, at least — do seem to react when given a reason to tell the truth. And second, threatening to punish them appears to have the opposite of its intended effect, because you’re effectively telling a child to admit to something that will lead to them being punished.